Although the Gell Cell batteries fit and the battery adapter lid can be installed, I think the bottom of the lid is touching the battery contacts. So if this was done, a strong thin material between the contacts and lid would be required to insulate them. 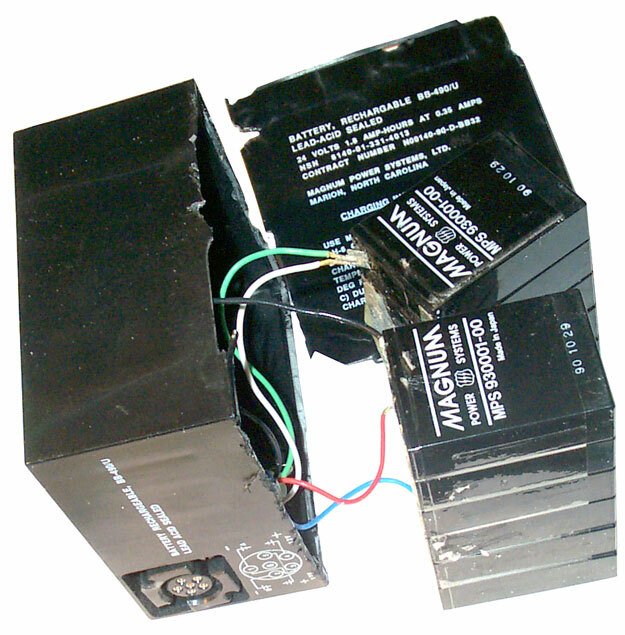 Kits containing two each BB-490/U batteries and the charger consisting of a wlll wart 16 VDC @ 1.5 Amp supply and a dual smart charger are being sold as surplus. The problem is that the gel cells have sulphated and are now dead. Or is it that they just need water? The BB-490/U is one of a family of batteries that have the same form, fit and function. The BA-5590/U is the non rechargeable LiSO2 combat version and there are a number of rechargeable versions like the BB-390 NMH and BB-590 NiCad. The 4.5 x 5" face that has the label information is a "lid" covering the rest of the "tub". It may be possible to squeeze the "tub" just below the "lid" in a vise and cause the seam to break. You can also cut through the lid. 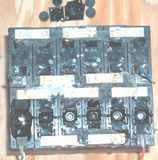 Inside there are two rows containing six cells (2 Volts/cell * 6 cells = 12 volts per string. Each cell is marked Magnum Power Systems, MPS 930001-00. Made in Japan, and mine have a date code 881207. The leads have been cut here, but you would not need to cut them if you are just going to add distilled water. 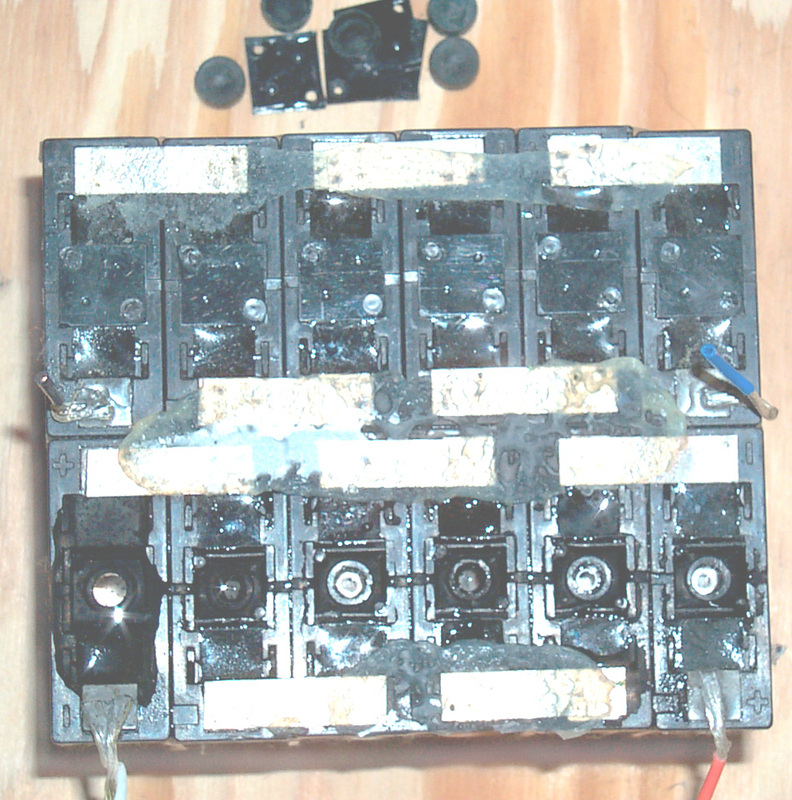 One of the cells has had it's plastic cap pried off and the rubber cap removed and some distilled water added. 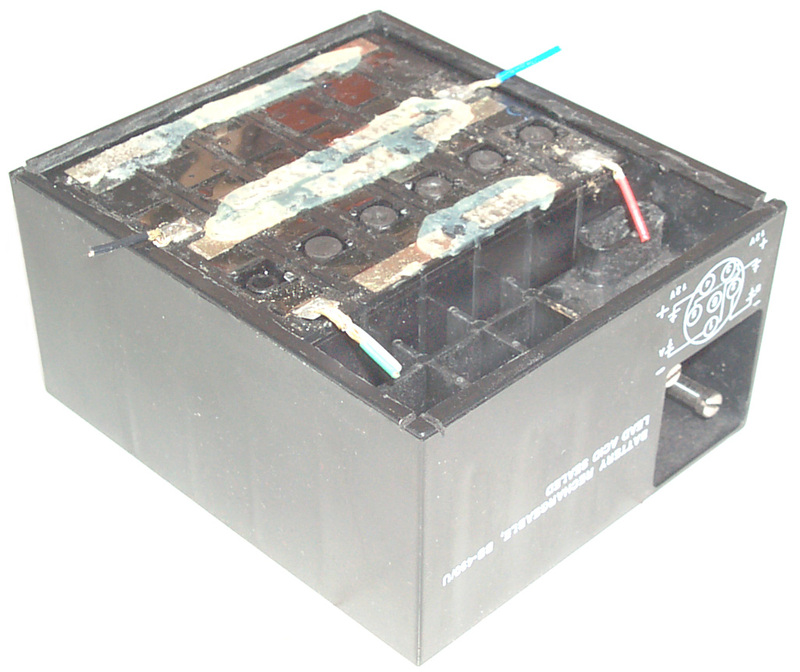 It may be that these batteries can be brought back to life by adding distilled water to the cells. I find that the surface tension of distilled water is strong compared to the small size of the hole and so I just add a lot of water and when a bubble appears use a small screw driver to pop it. After a few pops you need to add more distilled water. This may take some time to get the cells filled. Pouring a small amount of water on the top does not work well because the water seeps down the cracks between each cell. 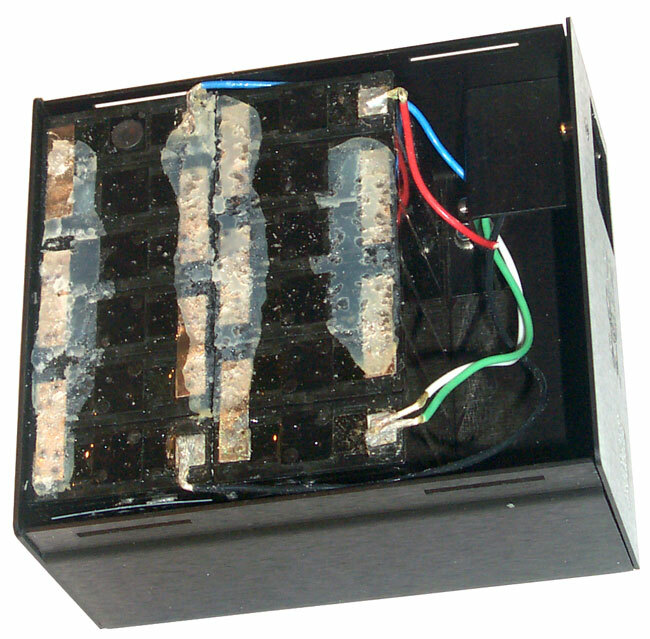 A better way would be to clean all of the outside of the battery and then place the whole battery in a container that's a little larger and then cover the entire battery with distilled water. This way you would not need to be adding water every few minutes. I'm going to use the pour on top method becasue I want to only put water in one of the sides so they can be compared. I gave up after just over an hour, it's a lot of work to keep adding water in very small amounts. The BB-490 is now completely submerged, but with only one side's caps off. I'll let it sit for a day or a few outside where it'll get temperature cycled which might help in sucking in the water. After a few days I tried to charge the side that had water added. At first it took only a very feeble charge and after a while was up to over 100 ma. But when I measure the voltage across each cell I found one that was shorted and another that was opened. 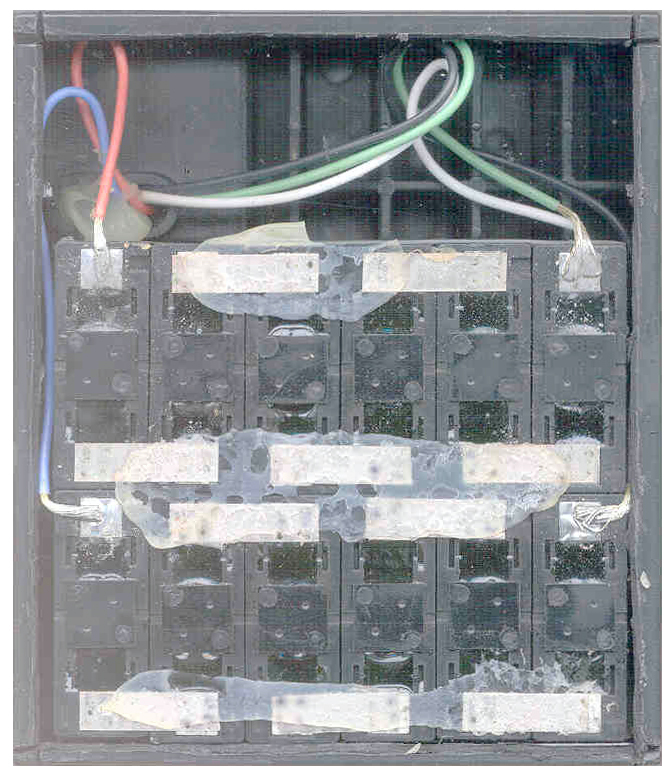 Most of the 12 cells show just over 2 Volts while under charge and 5 of the 12 cells show 2 volts after some charging. Checking the side with the caps still on with the plastic seals still intact I also find one open cell and one shorted. Maybe by separating all the cells from both batteries that come with the set a single good set of 12 cells could be assembled. Not sure how difficult it is to solder the straps or if then would need a jumper spot welded. One of the connections below (probably pin 3 is not on the BA-5590/U. 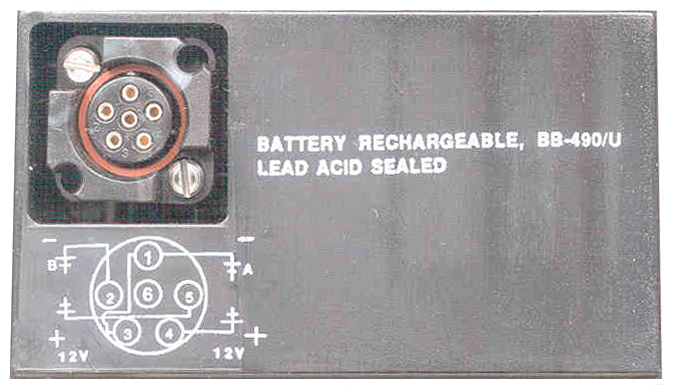 The extra connection is on this battery so that a charger can recognize this battery and charge it and not try to charge a BA-5590/U. On a BA-5590/U there would not be a short between pin 3 and any other pin. The charger can look for the 1 to 3 short to know it's a rechargeable battery. This is the time this page has been accessed since since 14 March 2002.